*We’re committed to exercising while on the road and both wear pedometers to log our daily results. The competitive spouse wants everyone to know that, even though a loser in today’s “steps count”, the exercise done with resistance bands translates into enough steps to be considered the winner today – again – by 1 step. Guess who’s who. We began today’s road trip at around 9:00 am. Knew we’d have about a 4 hour drive to today’s destination and wanted to leave a good amount of time to explore the Asheville area. 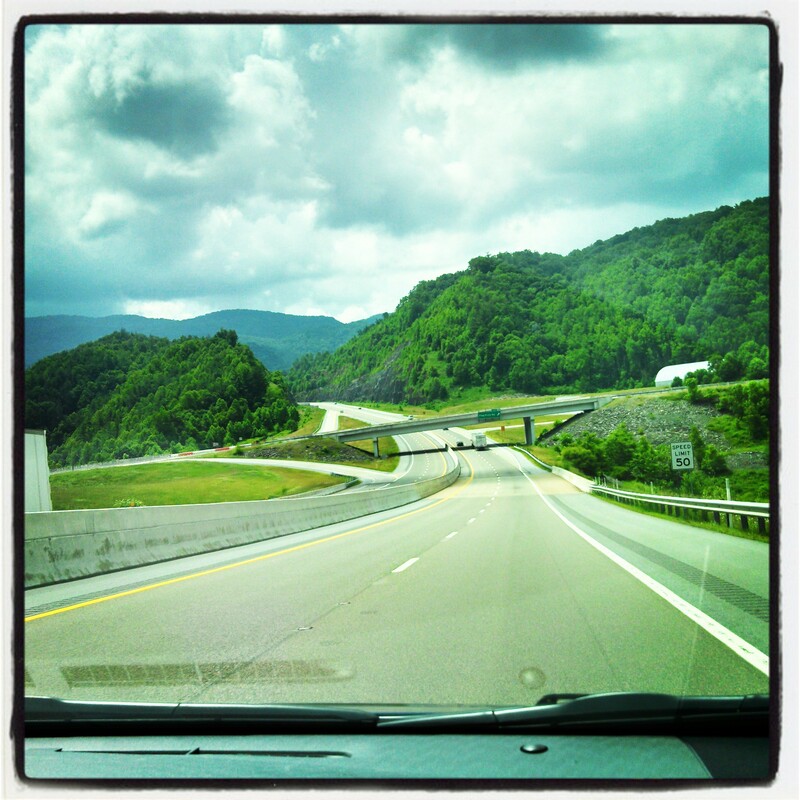 Our route took us from VA though northern TN into NC and gave us a chance to see the awesome Great Smokey Mountains. Even though it was a cloudy day, the views were still “wow”! It was an ear-popping, mountain high and valley low kind of drive (that sounds like a song by the Supremes!). Here’s a shot of the view from our car. Once in Asheville, we settled into the fabulous condo we found through the rental site http://www.airbnb.com. Check this site out if you like alternatives to hotels. The place is located in a gem of an area that combines business and retail space with the condos in a New Urbanism style. The owners of the condo, Deb and Tony, are world travelers and a really interesting couple. Deb owns a 100% organic and Ayurvedic skin care company in Asheville where she manufactures her products. You can find her natural products at http://www.tevaskincare.com, Amazon and eBay. Tony is a pilot with American Airlines and primarily flies non-stop to Asia and Europe. If you’re thinking of coming to the Asheville area, see if you can reserve this condo! 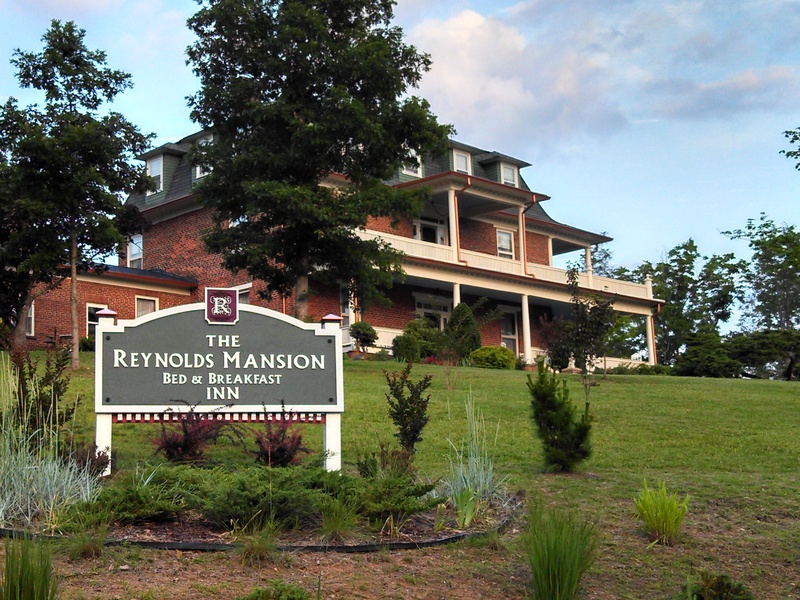 As we walked around the neighborhood where we were staying, we came upon a beautiful B&B called the Reynolds Mansion. This iconic NC landmark was built in 1847 by Daniel Reynolds and sits high on a hill with spectacular views of the Blue Ridge Mountains. Haven’t been in it yet but we heard they serve a mean breakfast! Here’s a view of the place. 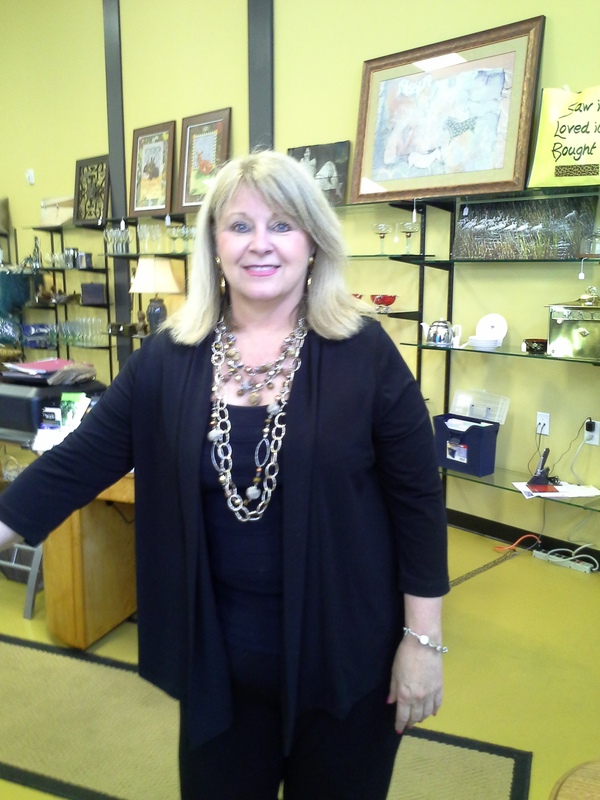 Just a little way down the road we found a furniture and home accessory consignment shop called More Decor and met the wonderful owner Cheryl, a Florida transplant. As we’ve found with most everyone we’ve met throughout our trip, she was generous with her time and her recommendations for where to visit while in town. Before making our way into downtown Asheville, we needed a little energy which always translates into food. First stop – The Potato Wedge for our favorite “breakfast for lunch”. We had a homey meal of an omelet, impossibly fluffy biscuit and egg sandwich with a thick slab of ham. If you’ve never had a real honest to goodness fresh egg before, find one and try it! After a lunch like that, we literally rolled into Asheville. What a bustling, eclectic, bohemian place – not at all what we expected! 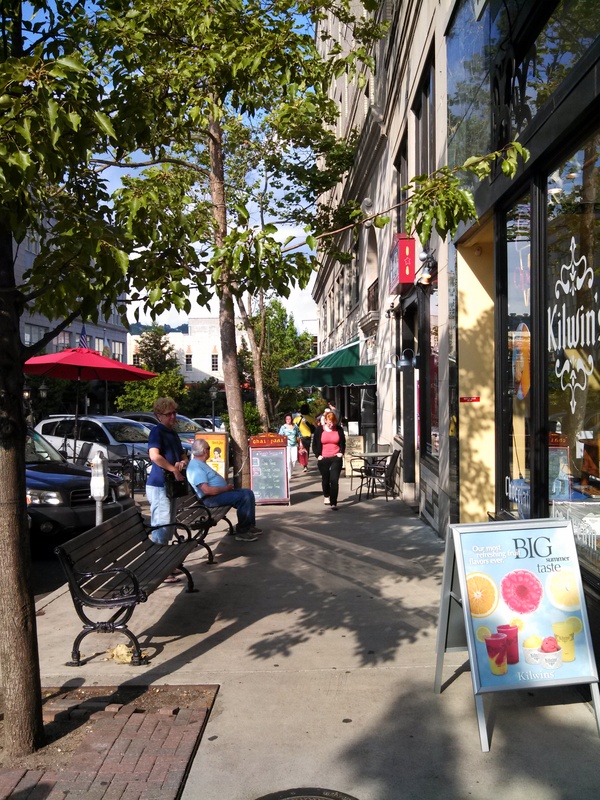 One reviewer said “for travelers who love the energy of a big city but the comfort and charm of small-town life, Asheville provides a happy medium”. Indeed it does. We wandered the streets all afternoon and passed by tons of restaurants, bars, boutiques, antique and book stores, tattoo parlors, street musicians, little in-city parks, historic buildings, college students, young families, baby boomers and seniors all vying for space and attention! After racking up a few thousand “urban steps” on our pedometers, we decided to grab a bite to eat and randomly chose a little Latin restaurant called Chorizo. What a find! We relaxed with wine, a pineapple mojito, homemade tortilla chips and 3 fresh and smokey to-die-for salsas. Excellent stuff. Now we had the fuel we needed to continue our exploration. Although it was too late in the day to tour the Biltmore Mansion, the summer “home” of the Vanderbilt family, we did drive to the estate and neighboring Biltmore village. From what we could see, the grounds are spectacular and easily take an entire day to see it all. The nearby village is quaint, European looking and filled with shops and restaurants. So much to see, so little time. Deb P. Bart and Rorie: I really love following you on your small town adventure. I feel like I am on vacation when I read your posts. Thank you for sharing. After reading your description of the Biltmore Mansion grounds and Biltmore Village, it is now at the top of my bucket list of U.S. places to visit. No bbq or sweets today?!?!? I hope you at least got to enjoy a drink! Looking forward to your next post – I truly enjoy reading about your tour!